Simple, practical and reliable. The Swift 260 Deluxe awning is ideal as small porch for weekend touring when you don't have time or need the full awning. Simple, single hoop design makes it quick to set up with enough space for table and chairs for 2 people. 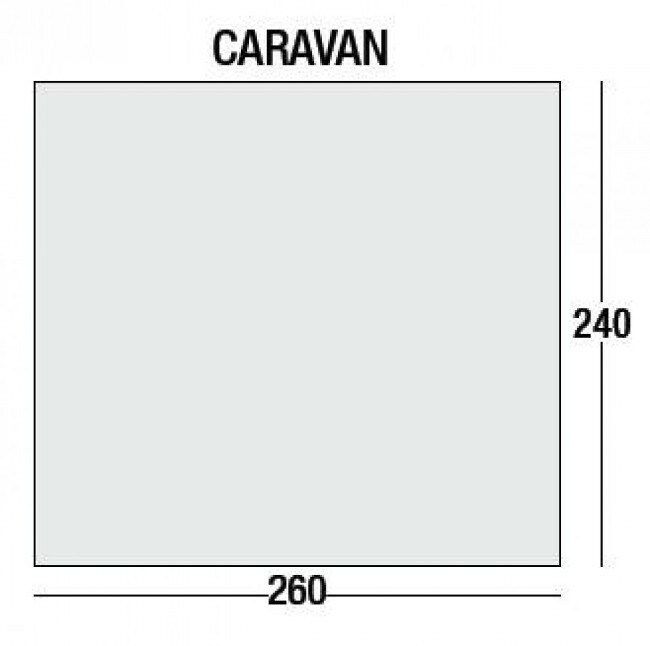 Swift 260 Deluxe measures (W)260 x (D)240cm and fits to standard height caravans with awning rail height between 235-250cm. The steel legs of the Swift 260 Deluxe give flat, vertical walls meaning despite it compact dimensions, you can take full advantage of all available space. Large window panels on 3 sides make that space feel bright and airy and the roll-up front wall can be turned in to a sun canopy with optional upright poles to extend your living area if needed. Side doors on both sides of this awning mean it suits any caravan layout giving easy access in and out of the awning wherever your caravan door is positioned. Despite its low price the Swift Deluxe range still boasts 6,000m waterproofing and heat sealed seams for maximum weatherproofing and is supplied with draught skirt. Sunncamp Super Swift 260 Deluxe Porch Awning is fitted with 6mm beading to fit direct to ‘C’ profile caravan awning channel.